We have been hearing various rumors about the new Xiaomi Mi Max 2 over the last few weeks and the handset is now official. The Xiaomi Mi Max 2 is equipped with a 6.44 inch display and the device is powered by a Qualcomm Snapdragon 625 processor. 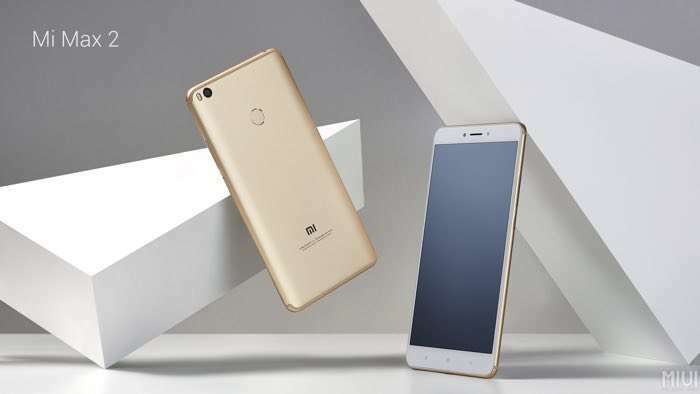 Other specifications on the new Xiaomi Mi Max 2 include 4GB of RAM and a choice of either 64GB or 128GB of storage, the device also comes with a microSD card slot which takes up to 128GB cards. The handset also comes with a 5300 mAh battery and Quick Charge 3.0, plus a 12 megaoisel Sony IMX386 camera, you can see the key specifications below. The Xiaomi Mi Max 2 will retail for 1,699 RMB which is about $250 for the 64GB model and RMB 1999 which is about $290 for the 128GB model, you can find out more details at the link below.